If you're the type of man who likes wearing his bow ties with style, you'll love the large variety of fancy pattern bow ties found at Contempo Suits. 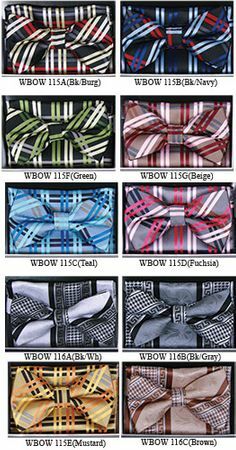 These bow ties are the adjustable type that you can just throw on and wear without issue. They come in a huge selection of fancy patterns.